Thank you for visiting Head to Heal Family Wellness website! The Head to Heal Centre and Wholistic Dispensary are located in the heart of Regina’s pedestrian Cathedral neighbourhood, at 2706 13th Avenue. Head to Heal Wellness Centre is dedicated to helping individuals, and their entire family, achieve better health. Whether you are currently suffering from a medical condition or wish to prevent future illness, naturopathic medicine has something to offer you. 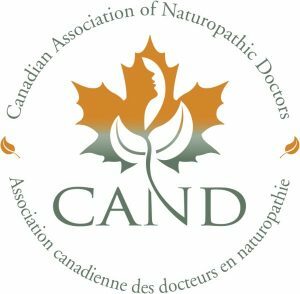 Naturopathic medicine is a unique form of health care that combines the art and wisdom of traditional and natural forms of medicine, with modern scientific research. Using gentle and non invasive means, each of the naturopathic doctors, Dr. Jonathan Bablad and Dr. Vanessa DiCicco, tailor their treatment plans to the unique needs of their patient, taking into account the physical, emotional, environmental and spiritual influences that impact their patient’s health. Head to Heal Family Wellness Centre is committed to providing optimal preventative, restorative and supportive care and to meet their patient’s needs. Our website provides valuable information about naturopathic medicine and about Head to Heal Family Wellness Centre. Please feel free to contact us if you have any questions regarding our services or if you would like to book an appointment. Reception can be reached at 306.543.HEAL and/or you can book an appointment online. Best of health to you and yours!